The Super Hercules has been used extensively by the USAF and USMC in Iraq and Afghanistan. Canada has also deployed its CC-130J aircraft to Afghanistan. C-130Js from several countries have been deployed in support of the US Operation Odyssey Dawn and NATO's Operation Unified Protector during the 2011 Libyan civil war. From the first flight on 5 April 1996 to 30 April 2013, 290 C-130J Super Hercules aircraft operated by 13 nations surpassed 1 million flight hours. Apparently the aircraft is still in production with the USAF hoping to replace all of it earlier variants (now pretty much limited to the C-130H). In January 2013, it was reported that some of Canada's CC-130J transports had counterfeit Chinese microchips in their cockpit displays. 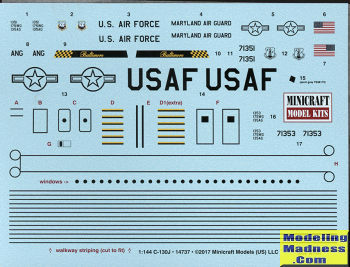 These parts are more likely to fail and result in failures such as blank instrument screens during flight. A 14-month investigation by the U.S. Senate Armed Services Committee concluded that counterfeit parts in the Hercules and other American-made military equipment are prone to failure with potentially "catastrophic consequences." The U.S. congressional investigation reported the fake Hercules microchips were originally made by the Korean electronics giant Samsung in the 1990s, and more than a decade later, had been recycled, refurbished and remarked to appear genuine by a company in China. Samsung later stated that "it is not possible to project the reliability" of the altered parts. The U.S. investigation reported that the problems on the Hercules first came to light in 2010 when the instrument panel failed on a USAF aircraft during active duty. On 20 August 2013, the Indian Air Force performed the highest landing of a C-130J at the Daulat Beg Oldi airstrip in Ladakh at the height of 16,614 ft (5,064 m). 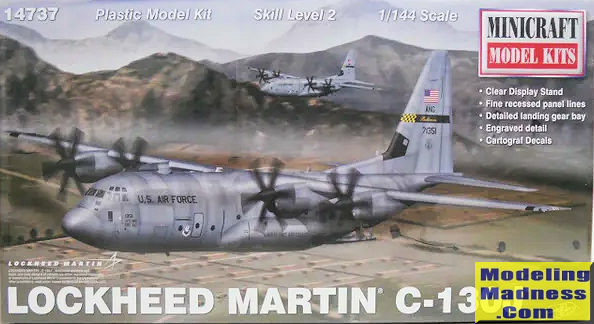 Minicraft has produced kits of most of the Hercules variants so far so it was not surprising that it would do a J model as well. Also not surprising is that it uses extant tooling for the earlier versions along with additional sprues to take care of the differences. The kit molding is quite good with the now normal recessed panel lines we have come to expect from kits. The first thing one does with this one is to cut the front of the sponsons from the fuselage to replace them with the longer ones for the H/J. Then one installs the main and nose gear wells along with the forward bulkhead and cabin floor. Then the new sponsons are installed. 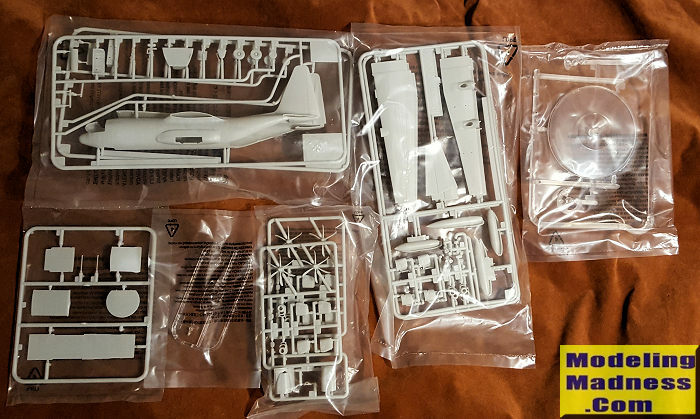 Of course you get new engine nacelles for the J variant, each of which consists of four parts. Then the wings are assembled with the modeler having to open the holes for the fuel tanks that fit in between the engines and fill the outboard ones that are used on the A/B versions. Nacelles are installed on the wing and the wing, tailplanes and cockpit transparency are installed. There are very large wing fuselage joins to provide a good fit. Instructions recommend filling the empty cockpit with 8 grams of weight. Next group of construction steps involve building and attaching the fuel tanks, tail cap, landing gear components and the gear doors. The rear cargo ramp components are shown being built in the lowered position, but I'm betting one can cement them closed as well since there is nothing in the cargo compartment other than a floor. Last things glued on are the props. What is really nice is that Minicraft supplies a display stand which is a ball and socket arrangement that snaps together. It should be fairly easy to model the gear doors closed for an in-flight display. In that case, I'd also leave out the nose weight. Instructions are well drawn and provide minimal color info during the build. I'm not sure if the gear wells and struts are actually aluminum as I'm used to seeing these sorts of things painted white. Check the net. There are two options that differ only by serial number. Both are in overall AMC grey and are with the Maryland ANG. The black areas for the exhaust and the fin base will also need to be painted in place. The decal sheet is nicely done and provides the black stripes for the upper fuselage/wing walk areas. As usual, all the doors and windows save the cockpit ones are decals. For most of us, 1/144 is a perfect scale for large aircraft like this. It has the benefit of not taking up a lot of space and encourages building of more than one. Minicraft kits are not inexpensive, but in today's market, they are a reasonable price. I know that in the past their kits have been a bear at times, but I've not built anything of theirs much newer than their DC-4s, which was a very nice kit. I expect this one to be the same. My thanks to me for picking this one up on sale.